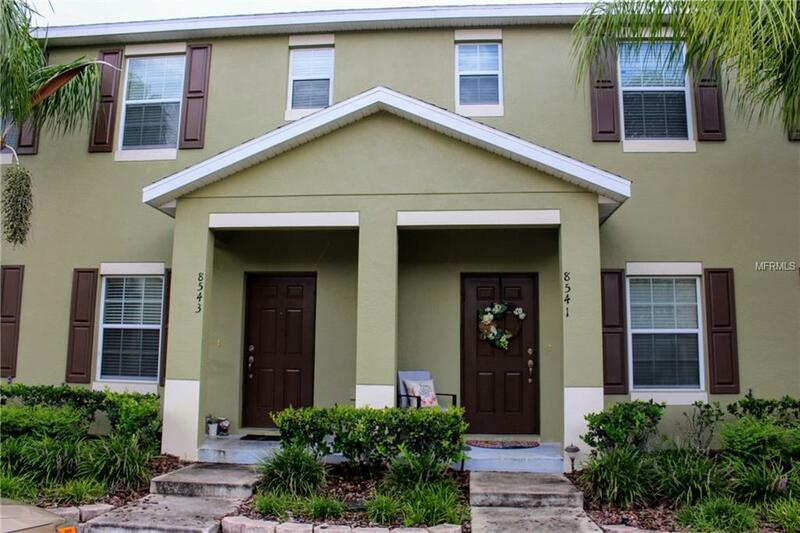 Beautiful townhouse in the heart of New Tampa, in a desirable gated community. This Townhouse offers 2 Bedrooms and 2.5 Baths with reserved parking. The fully tiled main floor features an amazing kitchen with gorgeous cabinetry, granite counter tops, a half bath, rounded out by a Family room, a small fenced area in the back is perfect for entertaining guests. Upstairs you'll find 2 bedrooms with its private bathrooms, Washer/Dryer closet, the master offers a large walk-in shower, the other bathroom has a tub/shower combination. You also have access to the community pool. All this perfectly located to Wiregrass Mall, The New Tampa Premium Outlets and Costco, fine dining, and schools.